Coaching for spinal stenosis is an alternative approach to dealing with the often disabling symptoms of vertebral canal narrowing. While coaching is not a medical treatment, it has been embraced by doctors, therapists and patients due to its efficacy and risk-free approach to pain management. Chronic pain coaching is a growing specialty within the health industry. Since more and more people are suffering from long-term pain problems, and fewer and fewer are finding lasting cures, coaching is a natural fit for patients who want to learn to manage their pain without exposing themselves to the dangers of drugs, injections or surgical interventions. Coaching is clinically proven to help people to live better, regardless of the types of painful health issues they currently suffer from. Coaching uses 100% positive and constructive techniques to reduce pain and increase functionality, while simultaneously building a psychoemotional infrastructure that will support patients in times of increased symptomatic activity and personal hardship. This focused essay explains the coaching process and details why so many spinal stenosis patients have benefited from expert coaching when they can not find a lasting cure for their pain. Coaching is not a medical cure, nor will it replace the possibility of finding a cure. In essence, if a patient can be successfully treated for spinal stenosis and cured, then this is always the preferred path. Coaching should only be used for patients who are still struggling with daily pain while investigating options towards enacting a cure or in patients who can not find a cure for whatever reason is applicable to their particular circumstance. Stenosis patients might not be candidates for surgery for many reasons. They might have already had surgery, but suffered poor outcomes. These types of patients make ideal coaching clients, since pain is likely to be ever-present, while a cure is held out of reach. When compared to traditional and alternative forms of symptomatic treatment, coaching always shines, since it demonstrates no risks whatsoever, is low cost and comes with the added benefit of personal enrichment and the building of valuable life skills. When compared with the usual forms of pain management, including the most common, pharmaceutical therapy, it is clear why chronic pain coaching must be deemed to be far superior from any informed and objective viewpoint. Coaching should not be used when a true cure is available and indicated. In these cases, the patient should be encouraged to seek to resolve the underlying reason for pain, rather than learn to better manage the pain. Any ethical coach will be able to determine which clients might be better served by curative medical modalities, compared to the application of pain management coaching interventions. Pain coaching uses a wide range of practices to help clients to better cope with pain. Coaching utilizes the science of neuroplasticity to actually reshape the way the brain perceives and registers pain signals. Additionally, coaching helps to guide clients on their intended paths in life, despite the presence of chronic illness or pain. Clients are enriched by philosophical knowledge, introspective analysis and goal achievement, transforming them from victims to empowered people who just happen to experience pain. Coaching removes pain as the focus of one’s world and subordinates the symptoms to a position that will not interfere with enjoying a full and rewarding life. True chronic pain coaching only uses constructive and positive methods to improve a client’s life, without subjecting them to any risks whatsoever. All of the best coaching techniques are actually managed by the client themselves, creating autonomy and self-guidance that will last a lifetime. Coaching is not a cure for structural stenosis, but can remove the burden of pain from reducing the quality of life. Coaching will prove to the client that despite their perceived impediments, they can achieve anything and everything they desire in life. Coaching will provide a stable support system while simultaneously teaching a client to support themselves as they grow and progress in the process. 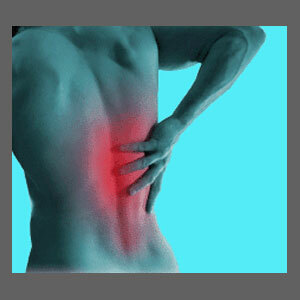 Coaching will demonstrate that pain is indeed manageable without drugs, injections or surgeries. All it takes is devotion to the coaching process in order to feel and function exponentially better in all measurable aspects of life. As a pioneer in the pain coaching industry, it has been my calling and my pleasure to help people with all manner of chronic health issues. Since I specialize in back and neck pain conditions, I tend to work with many patients who are stricken with the ravages of chronic spinal stenosis. Unlike many other back pain diagnoses, stenosis can often be cured and the symptoms banished through appropriate medical interventions, such as canal widening surgery. For patients who can benefit from curative approaches to medical care, I encourage the pursuit of a cure compared to any form of symptom-based care or pain management program. However, I also understand that many, many patients are not always curable, due to misdiagnosis, failed surgery, health problems contraindicating successful treatment or other factors. These are the patients who have the most to gain from coaching. So many of these people have been neglected by the medical system and have fallen through the cracks of the stenosis treatment industry. Virtually all have been made slaves to drug therapies, with no hope of weaning themselves off these poisonous substances, while the negative health consequences of ongoing pharmaceutical therapy rack up year after year. The reality faced by these patients has always broken my heart and is the inspiration for my continuing work in the coaching sector to improve worthwhile lives; albeit one at a time. To learn more about coaching for chronic pain due to spinal stenosis, please consult with an expert service provider. Just realize that pain coaching is an extreme niche specialty and should never be attempted by a general life coach. Instead, always be sure to seek services from a provider who focuses on nothing besides chronic sickness and pain coaching to ensure optimal results. 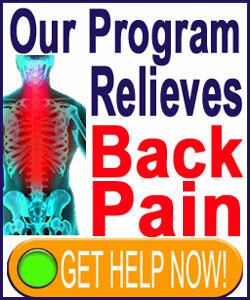 The Cure Back Pain Network always recommends The Chronic Pain Coach as the premier pain coaching system used today. Their program satisfaction statistics speak volumes about the efficacy of the techniques utilized. Components of the Chronic Pain Coach program are available on our product page as part of the Cure Back Pain Forever Program.